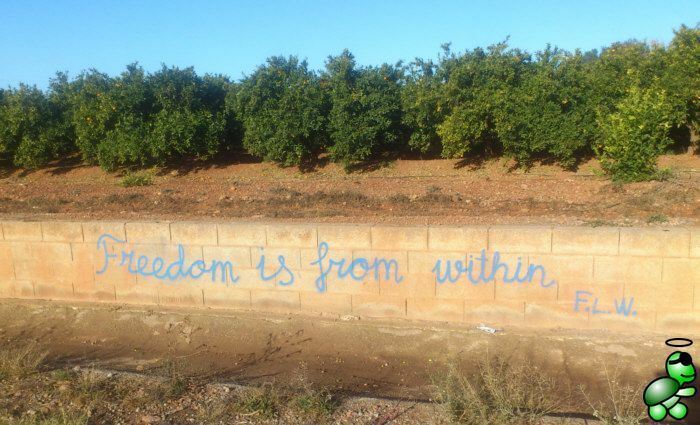 During my usual walks with my dog, I use to see this writing on a wall next to the orange fields. The quote is from Frank Lloyd Wright, an american architect. Freedom is from within.